MATIÈRES : bronze patiné et bronze doré. DIMENSIONS : H. 118 cm (46 1⁄2 in.) ; L. 76 cm (30 in.). 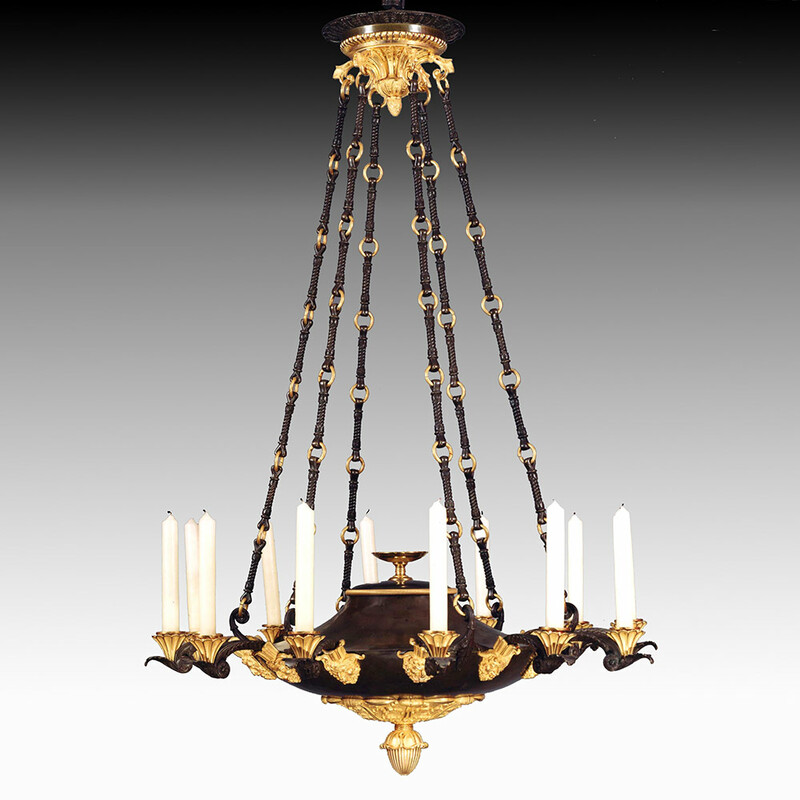 A “Restauration” twelve-light patinated and ormolu bronze chandelier, the arms adorned with masks of satyrs and stylised flowers corollas, a pendant pinecone issuing from a foliated rose.